§ 128-1. No person shall hold more than one office; exception. § 128-1.1. Dual-office holding allowed. § 128-1.2. Ex officio service by county and city representatives and officials. § 128-2. Holding office contrary to the Constitution; penalty. § 128-3. Bargains for office void. § 128-4. Receiving compensation of subordinates for appointment or retention; removal. § 128-5. Oath required before acting; penalty. § 128-6. Persons admitted to office deemed to hold lawfully. § 128-7. Officer to hold until successor qualified. § 128-7.1. Failure to qualify creates vacancy. § 128-7.2. Qualifications for appointment to fill vacancy in elective office. § 128-8: Repealed by Session Laws 1981, c. 884, s. 13. §128-9: Repealed by Session Laws 1979, c. 650. § 128-10. Citizen to recover funds of county or town retained by delinquent official. § 128-11. Trust funds to be kept separate. § 128-12. Violations to be reported; misdemeanors. § 128-13. Officers compensated from fees in certain counties to render statement; penalty; proceeds to school fund. § 128-14. Identification cards for field agents or deputies of State departments. § 128-15.1: Repealed by 1987 (Reg. Sess., 1988), c. 1064, s. 4. § 128-15.2. Appointment of acting heads of certain agencies. § 128-15.3. Discrimination against handicapped prohibited in hiring; recruitment, etc., of handicapped persons. Article 2 - Removal of Unfit Officers. § 128-16. Officers subject to removal; for what offenses. § 128-17. Petition for removal; county attorney to prosecute. § 128-18. Petition filed with clerk; what it shall contain; answer. § 128-19. Suspension pending hearing; how vacancy filled. § 128-20. Precedence on calendar; costs. Article 3 - Retirement System for Counties, Cities and Towns. § 128-22. Name and date of establishment. § 128-23. Acceptance by cities, towns and counties. § 128-25: Repealed by Session Laws 2016-56, s. 2, effective June 30, 2016. § 128-26. Allowance for service. § 128-26A. Reciprocity of creditable service with other State-administered retirement systems. § 128-28. Administration and responsibility for operation of System. § 128-29. Management of funds.  § 128-29.1: Repealed by Session Laws 2015-67, s. 4, effective July 1, 2015. § 128-30. Method of financing. § 128-31. Exemptions from execution; employing unit to offset amount owed by member or beneficiary. § 128-32. Protection against fraud. § 128-32.1. Failure to respond. § 128-33. Certain laws not applicable to members. § 128-33.1. Public records held by the Retirement System. § 128-34. Transfer of members. § 128-35. Obligations of pension accumulation fund. § 128-36. Local laws unaffected; when benefits begin to accrue. § 128-36.1: Repealed by Session Laws 1977, c. 318. § 128-37. Membership of employees of district health departments or public health authorities. § 128-37.1. Membership of employees of county social services department. § 128-37.2. Continued membership for certain fire departments. § 128-38. Reservation of power to change. § 128-38.1. Termination or partial termination; discontinuance of contributions. § 128-38.2. Internal Revenue Code compliance. § 128-38.3. Deduction for payments allowed. § 128-38.4. Forfeiture of retirement benefits for certain felonies committed while serving as elected government official. § 128-38.4A. Forfeiture of retirement benefits for certain felonies related to employment or holding office. § 128-38.4B. Prohibition on purchase of forfeited service. § 128-38.5. Improper receipt of decedent's retirement allowance. § 128-38.6. Employee protection and remedies against unlawful retaliation for furnishing information to the Retirement Systems Division. § 128-38.7: Reserved for future codification purposes. § 128-38.8: Reserved for future codification purposes. § 128-38.9: Reserved for future codification purposes. § 128-38.10. Qualified Excess Benefit Arrangement. Article 4 - Leaves of Absence. § 128-39. Leaves of absence for State officials for protracted illness or other reason. § 128-39.1. Leaves of absence for State officials for military or naval service. § 128-40. Leaves of absence for county officials for protracted illness or other reason. § 128-41. Leaves of absence for municipal officials for protracted illness or other reason. § 128-42. Leaves of absence for county or municipal officials for military or naval service.